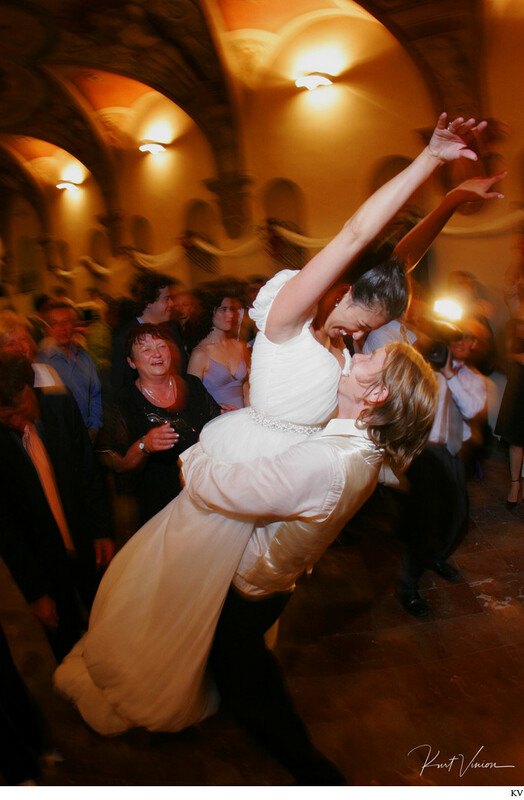 That wonderful moment where your wife who is a professional ballet dancer jumps up in the air and is caught by her professional football player husband during their incredible all night wedding party at the Troja Chateau in Prague. One of the most beautiful, fun, crazy and moment filled weddings every photographed in Prague by American photographer Kurt Vinion. Keywords: authentic weddings (18), Castle Troja (6), catching bride (3), photojournalist weddings (3), real moments (12), Troja Chateau (15).